CALLISTO (Compound Astronomical Low cost Low frequency Instrument for Spectroscopy and Transportable Observatory!!!!) is a spectrometer that aims to observe solar bursts in the radio domain. The CALLISTO antenna installed on the roof of LPC2E. 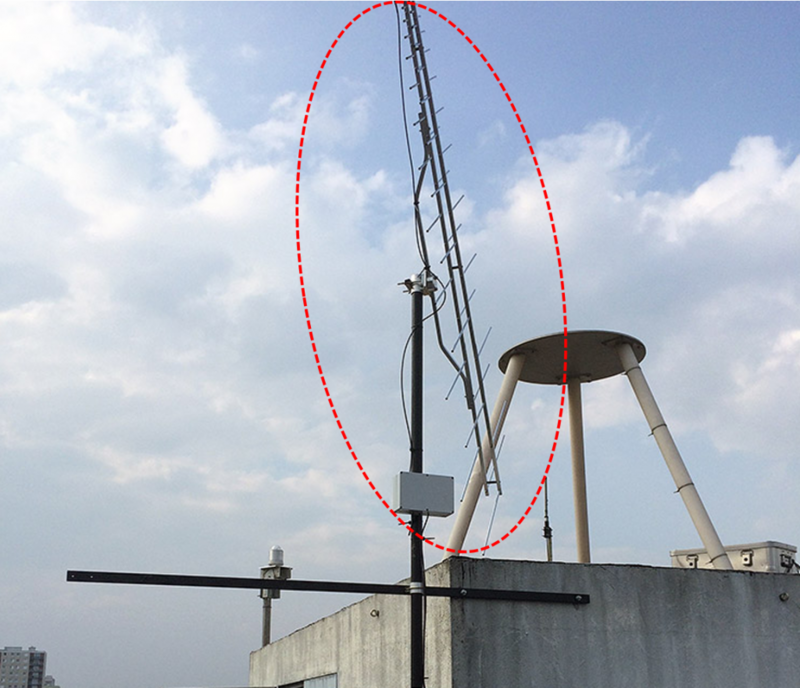 The LPC2E ESPACE team installed an antenna and spectrometer on the roof of the laboratory. As the radio environment (radio communications, FM band, etc.) is not clean enough to provide sufficient quality data for scientific studies, this facility is intended for teaching and dissemination of knowledge. An exemple of solar radio burst observed by CALLISTO à Ooty.